Never lose another D-Ring again! 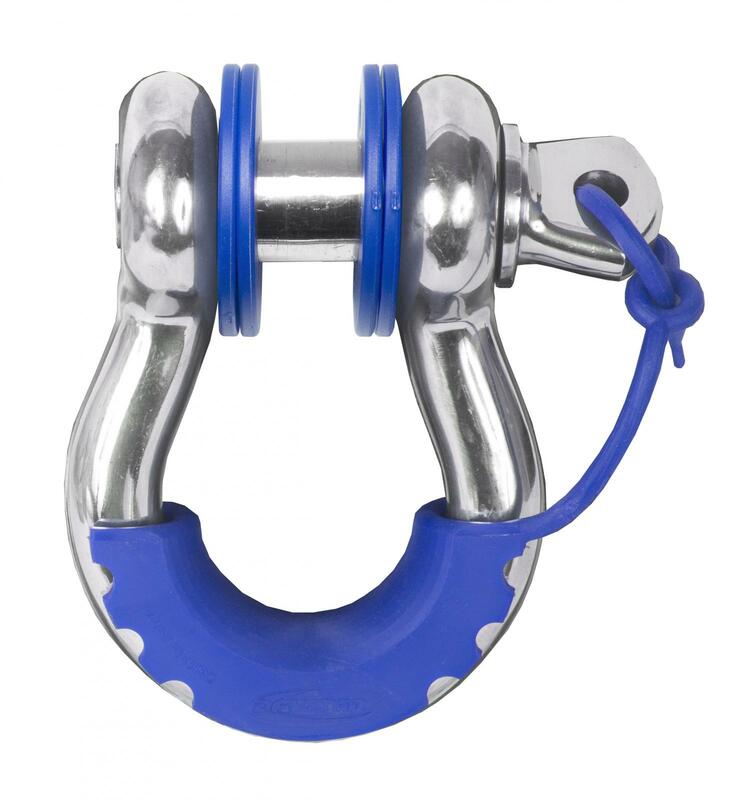 The Daystar Locking D-Ring Isolators install on any standard 3/4 inch shackle and the attached lanyard prevents your D-Ring Bolt from unscrewing causing your D-Ring to fall off. They simply snap into place and loop the lanyard through the hole in your D-Ring Bolt. Also included in this kit are 8 D-Ring Washers which help silence the rattles even more than the D-Ring Isolator by itself. Polyurethane acts as an isolator for the shackle and prevents the shackle from tapping against a bumper or any other recovery point when the vehicle is in motion. The Isolator also protects your bumpers finish from scratches caused by D-Ring contact. Daystar Locking D-Ring Isolators and Washers are available in Black, Red, Blue, Orange, Purple, White, Yellow, Fluorescent Orange, Fluorescent Green, and Fluorescent Pink and help add some color to any off-road vehicle. This kit includes 2 Locking D-Ring Isolators and 8 non-locking washers. Never lose another D-Ring again!